Find a wide selection of authentic Käthe Kruse products at euroSource. 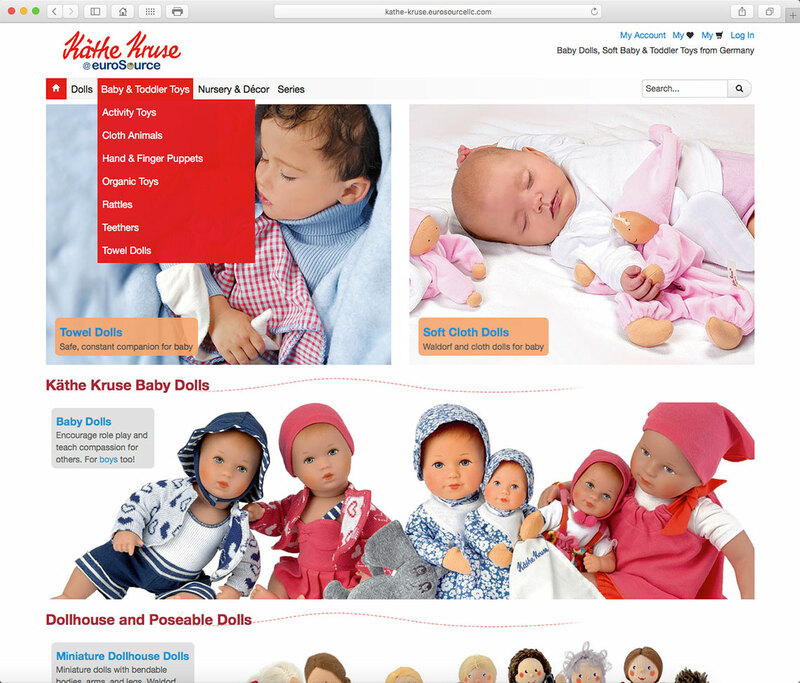 Offering handmade play dolls, standing dolls, and soft baby and toddler toys from Käthe Kruse of Germany. Children’s products designed to comfort, promote sensory development and expand imaginations. All products manufactured in Europe and conform to EU and US safety regulations.